Elegant paper cups to add some subtle glitz to your celebration. 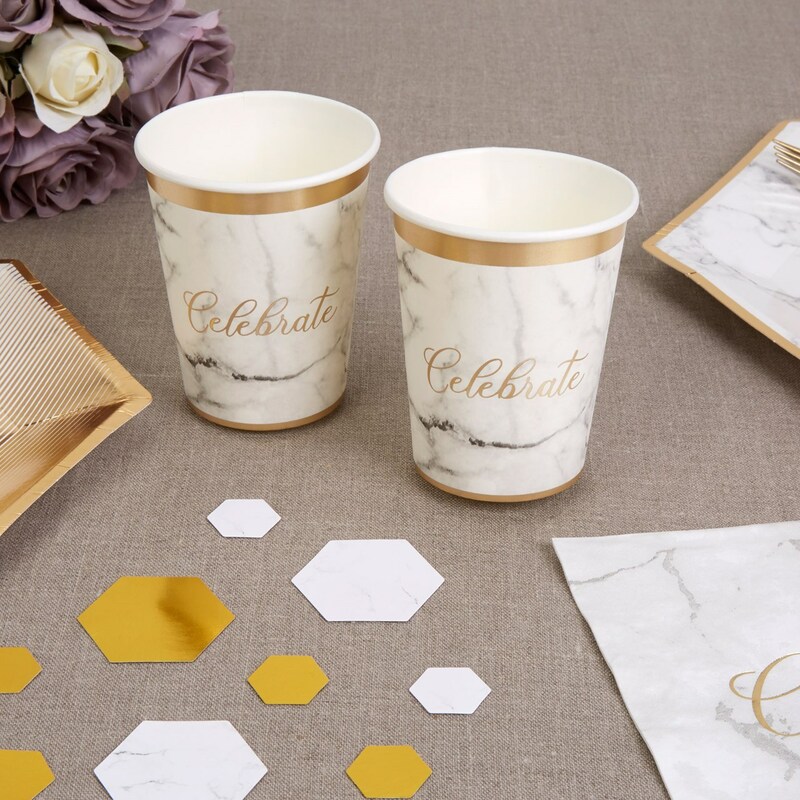 Part of our eye-catching Scripted Marble collection, these high quality cups reproduce the timeless look of this elegant stone and are complemented by a simple gold rim and ""Celebrate"" logo. A stylish addition to your table settings. Each pack contains 8 Paper Cups.